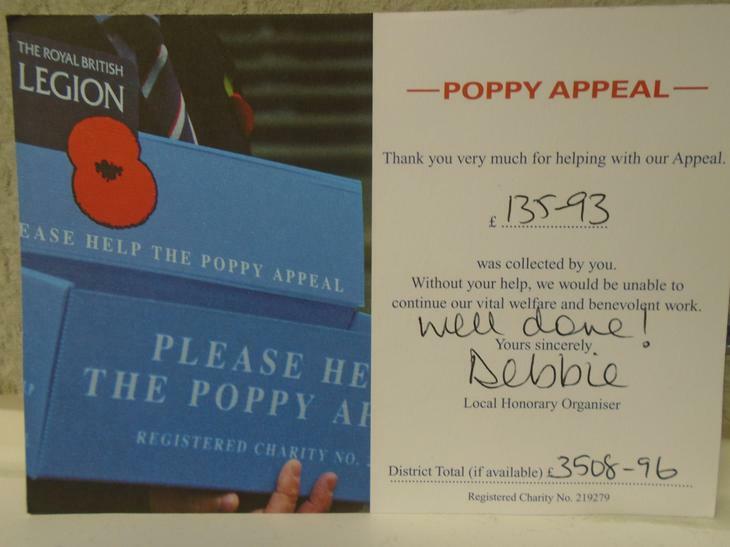 Thank you to all for all your support for this year's poppy appeal. We managed to raise £135.93. Well done!